Daħlet Qorrot Bay in Nadur, Gozo, has become a source of danger. This is because the foundations of the rock rubble on the right hand side of the bay, has began to deteriorate and collapse. The natural process is very evident to all those visiting this nature zone. 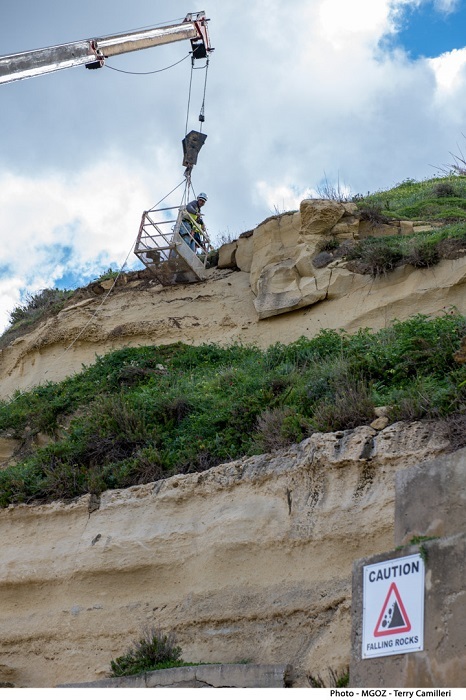 This has led to the Gozo Ministry in collaboration with the Nadur Local Council to take the necessary action after being informed of the dangerous situation. After the necessary permissions were obtain from the appropriate authorities, work immediately commenced to deal with this problem and the associated inconvenience it is causing. 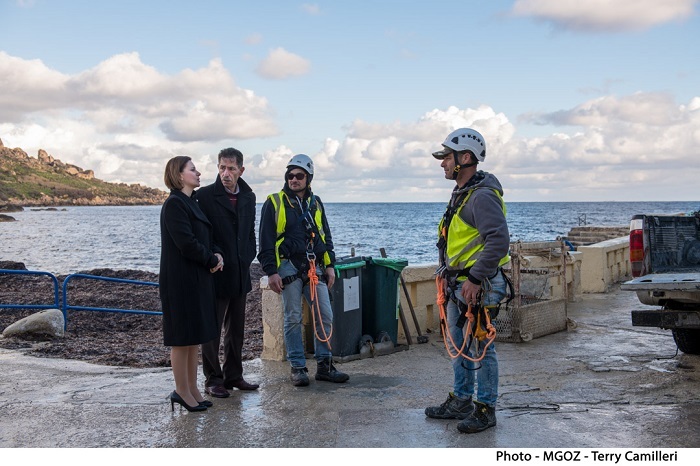 The Minister for Gozo Dr Justyne Caruana visited the bay as the necessary work commenced and she expressed her satisfaction it is being carried out in a professional manner by employees of the Projects and Development Department within the Gozo Ministry who planned and are coordinating the work. The work will remove the danger and enable the bay to be continued to be enjoyed by the people of Nadur and the many visitors who go there.